This entry was posted in A Wounded Heart, Characterizations, Christianity, Courage, Dealing with Difficulties, Fragility, Freedom, Healing, Hope, Letting Go, Nature, Poetry, Possibilities and tagged amber, courage, cryogenics, flaws, free verse poem, generational sin, gold, grace, mummified, photography, poem, preserved. Very nice! I’ll have to study up on that amber stuff–I’ve heard of it as a preservative, but don’t know anything beyond that (or you could give me a sketchy lesson???). And, sometimes grace glows silver…. Silver is definitely more your style. Amber – I don’t know much about it either, except that prehistoric insects have supposedly been found perfectly preserved. ???? Well, it’s more than a little late for the amber, then–I could have been perfectly preserved 20 yrs ago, but we’d have both missed out on what I would become, “silvered”. So I think I’ll just be grateful–pass the chips, please–and I’ll go get us the new jar of salsa! 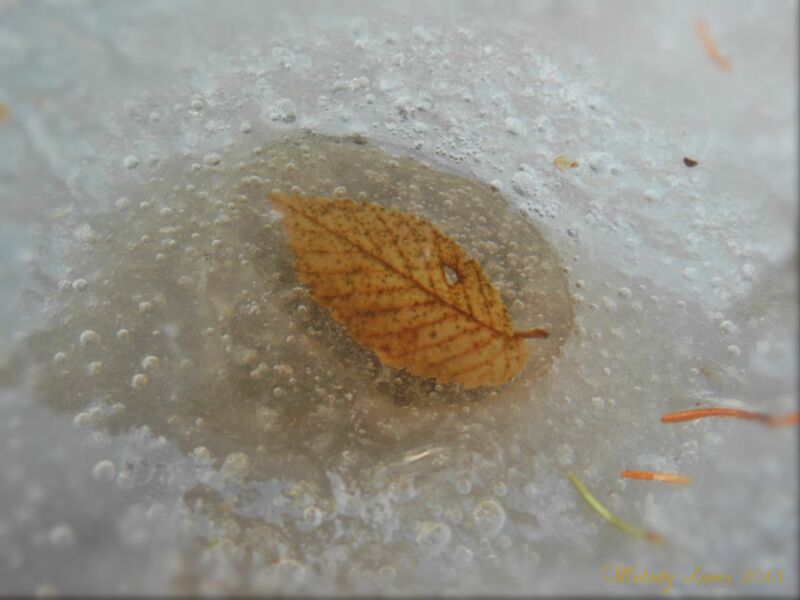 Lovely thought – “grace glows gold.” Melody, I like this ice art! The only trouble is, it has such a short shelf-life! 🙂 Thanks, Wendy! This poem is gold. I especially love the first line and the photo pairing. Beautiful writing, Melody. We got our daughter an amber kit this last year. We’ve rubbed and rubbed and tried to see what’s inside . ..but it’s pretty tough to tell! I love your poem and pic .. much clearer! Guess what? I saw SOIL for the first time yesterday in my garden! Snow, too – but actual SOIL! Things are looking up!